At least 70 people — mostly children under the age of five — have died from measles in the Philippines so far this year. The death toll from January 1 to February 9 more than doubled compared to the same period last year, the Department of Health said today (Monday, February 11). A total of 4,302 cases of measles have been reported throughout the country, a departmental statement added. A total of 34 per cent of the patients were between the ages of one and four, while 27 per cent were less than nine months old. Health Secretary Francisco Duque has blamed the increase on low vaccination rates among children following the scare triggered by a programme to immunise children against dengue fever in 2017. This focused on the Dengvaxia vaccine created by French firm Sanofi Pasteur. The company later disclosed that the medicine posed risks to children who had not been previously infected by dengue prior to immunisation. The health secretary has urged the public to restore their faith in vaccines. He said that they had long been proven to provide crucial protection from diseases such as measles. 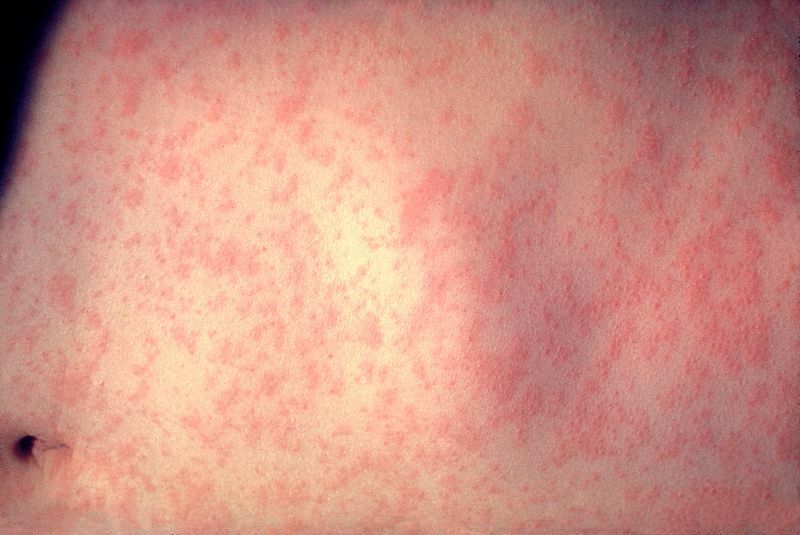 Measles is a highly contagious respiratory disease caused by a virus that is transferred from person-to-person by sneezing, coughing, and close personal contact. Symptoms include cough, runny nose, conjunctivitis, fever and skin rashes.